Mystical Lands. Epic Adventure. Enchanting Characters. 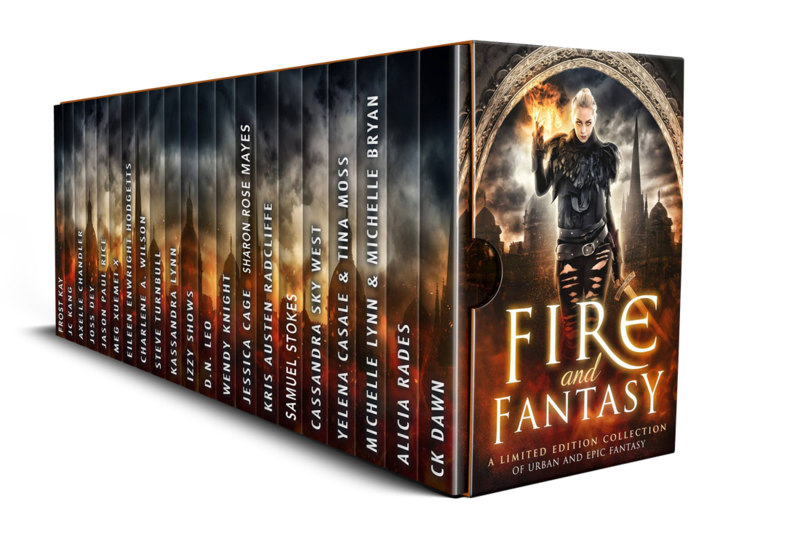 FIRE & FANTASY will have your imagination soaring as you charge headfirst into this enchanting collection of 20+ brand new and existing fantasy reads packed with daring quests, bewitching legends, and dark magic! Embark on sweeping adventures alongside fiery dragons, mystical mermaids, enchanted faeries, warring witches, demons, elves, and sword-wielding heroes as they face forces of evil and fight for the fate of their worlds! With over a million words of original Urban Fantasy, Epic Fantasy, and Sword and Sorcery Fantasy from more than twenty bestselling and award winning authors, prepare to lose yourself in the high-stakes fates of lovers, heroes, and villains. UNLEASH THE MAGIC IN FIRE & FANTASY and enter the worlds of the most creative fantasy authors when you PreOrder Today!